Established in December 1838, the City of Beaumont is celebrating its 180th birthday. Beaumont is a city rich in culture, industry, natural resources and incredible talent. To commemorate this milestone birthday, a year-long celebration will take place throughout the community and will begin on Wednesday, December 5 at the City’s Christmas Tree Lighting at the Downtown Event Centre Lake. 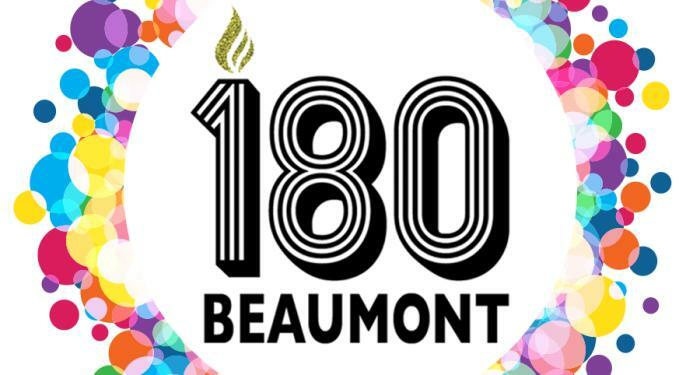 Throughout 2019, the City will partner with local organizations and groups to host educational, artistic and entertaining events and activities that are emblematic of Beaumont’s diverse community and honor the spirit of its 180th anniversary. Partner organizations include the Art Museum of Southeast Texas, the Symphony of Southeast Texas, the Beaumont Heritage Society, the Neches River Festival and many more. The year-long campaign will celebrate Beaumont&apos;s memorable past and propel us into its equally remarkable future. You are invited to join in celebrating the City&apos;s rich history and be a part of the next chapter in Beaumont’s legacy. Visit www.beaumont180.com for more information, follow Beaumont Events on social media or call 409.838.3435.